Our American Partner The Sales, Marketing and Distribution of Sun Brand in the United States of America is managed by American Marketing Team (A unit of World Finer Foods). Sun Brand is available in a wide variety of American markets. Sun Brand offers a full line of chutneys and spices. Naturally fat and cholesterol free, the Sun Brand Chutneys are a health conscious way to spice up any meal! 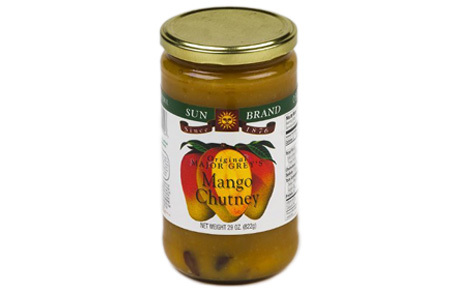 The Major Grey Mango Chutney is a sweet and spicy combination of imported mangoes, raisins, and spices. Rich with luscious cranberries, apples, golden raisins, and a special blend of spices, the Cranberry Chutney is the perfect alternative to traditional cranberry sauce. The Sun Brand spices include traditional Madras Curry Powder, a perfect piquant blend of peppery spices, and Tandoori Powder, a fiery blend of cayenne pepper, garlic, ginger, and other spices. Let Sun Brand’s versatile and delicious line of spices and chutneys turn your meals from ordinary to extraordinary! Major Grey's Mango Chutney 29oz. As a glaze for chicken, chops, or ribs, added to your wraps and sandwiches, or atop a cracker with cream cheese, Sun Brand Mango Chutney is a unique and delicious way to bring home a taste of the tropics. Major Grey's Mango Chutney 15.25oz. Major Grey's Mango Chutney 10oz. 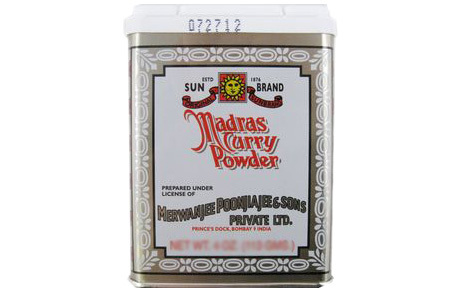 Sun Brand Madras Curry Powder is a perfect piquant, peppery blend of 14 herbs and spices. As a rub or marinade, it effortlessly turns any meat, poultry, fish, or vegetable dish into a delectable sensation of spices. 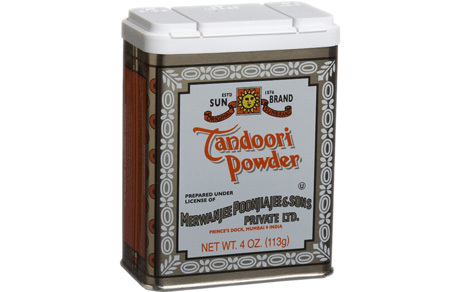 Sun Brand Tandoori Powder makes for a delicious marinade and meat rub with its perfect blend of spices. Loaded with cayenne pepper, ginger, garlic, and coriander, it creates an intense sensation with every bite. Pour on the spices and escape to the wonders of India!